Posted on 17, January 2019 by EuropaWire PR Editors | This entry was posted in Art & Culture, Entertainment, Food & Beverage, Germany and tagged Angela Hartnett, art, Berlinale, chefs, cinema, cooking, culinary, Culinary Cinema, CULTURE, fiction, films, FOOD, Haya Molcho, John Chester, Kiko Moya, Maya Gallus, Miguel Ángel Jiménez, Sebastian Frank, The Duc Ngo, Yotam Ottolenghi. Bookmark the permalink. 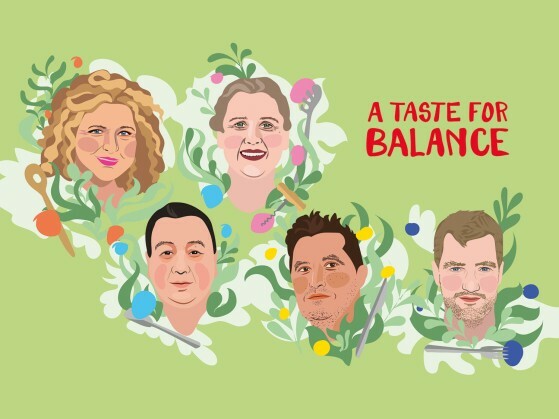 BERLIN, 17-Jan-2019 — /EuropaWire/ — The 13th Culinary Cinema will be held under the motto “A Taste for Balance” from February 10 to 15, 2019. Ten documentaries and two fiction films focussing on the relationship between food, culture, and politics are being presented this year. In this edition of Culinary Cinema, the topic of “balance” comes up in all the films. “Keeping taste in balance is not just a good idea for a healthy diet, but also a recipe for maintaining democracy,” says Festival Director Dieter Kosslick in explaining the motto. Starting on February 4, at 10:00 am, tickets for Culinary Cinema will go on sale at the central ticket counters in the Potsdamer Platz Arkaden, at Kino International, Haus der Berliner Festspiele, Audi City Berlin, and online at www.berlinale.de. The Heat: A Kitchen (R)evolution, a Canadian documentary by Maya Gallus will open the programme. The film depicts a paradox: everyone’s first experience with food is in the womb; and in the following years, it is often women who care for our culinary needs. Yet in the kitchens of top restaurants women hardly play a role. The reasons for this inequality are not only the subject of this film, but will also be discussed in detail with director Maya Gallus, star chef Angela Hartnett, and Parabere Forum president Maria Canabal at a “TeaTime” event on February 11. Asma Khan from London and Mashama Bailey from Savannah, USA, are the protagonists in two episodes of Chef’s Table. For both of them it is about balancing the past and the present. This successful series, created by David Gelb, will be part of the Culinary Cinema programme for the third time. In honour of both of these female chefs, Haya Molcho (“Neni”, in Vienna and seven other cities) will prepare a meal. In its “Film & Food” programme at 7:30 pm, Culinary Cinema will present two world, one international and two European premieres, as well as one German premiere. Following the screenings, top chefs Angela Hartnett, Sebastian Frank, Haya Molcho, Kiko Moya, and The Duc Ngo will take turns serving menus inspired by the films in the Gropius Mirror Restaurant. Y en cada lenteja un dios (A God in Each Lentil) by Miguel Ángel Jiménez investigates the balance between work and private life. Kiko Moya and his family are the second generation to run the restaurant “L’Escaleta”. Located in Cocentaina, Alicante, it is one of the 25 best restaurants in Spain and Portugal and has two Michelin stars. On this evening, Kiko Moya will be present and cook himself. In The Biggest Little Farm, filmmaking farmer John Chester chronicles in stunning images how he and his team have transformed 80 hectares of parched land in California into fertile soil and restored the balance between nature and culture. For the premiere, Sebastian Frank (two Michelin stars, “Horváth”, Berlin) will present his vision of a local seasonal meal. At the end of the programme, the film will be rescreened in Culinary Cinema Goes Kiez at the City Kino Wedding. On this occasion, Claude Trendel will do the cooking at the “Gourmanderie” in the Centre Français de Berlin. A culinary journey through Indonesia awaits us in the fiction film Aruna & Lidahnya (Aruna & Her Palate) by Edwin, who most recently presented Kebun binatang (Postcards from the Zoo) in the 2012 Competition. This time his film is based on a novel written by award-winning writer Laksmi Pamuntjak. The Duc Ngo (“Culinary Innovator 2017”, Berlin Master Chefs), who owns several popular restaurants on Berlin’s Kantstraße, will serve his interpretation of Indonesian cuisine. Under the title “Food for Thought”, other films will be shown that focus on injustices and inequalities, as well as the desire for a life in balance: in Sembradoras de vida (Mothers of the Land), women farmers in the highlands of Peru adhere to ancient traditions, even though climate change threatens their lives. Ghost Fleet accompanies Thai activists who are committed to freeing enslaved fishermen. When Tomatoes Met Wagner reveals how the economic situation in a Greek village has been improved by cultivating organic tomatoes with the help of Richard Wagner’s music. In Complicity, the situation of an illegal Chinese immigrant, who fears for his future in a soba restaurant in Japan, is precarious. Delband(Beloved) depicts the everyday life of an 80-year-old female cowherd in Northern Iran. Completing the programme is La herencia del viento (Wind Heritage), a short film about a Mexican farmer’s bond with nature. “Film and food have several things in common. Not only are they enjoyed within a certain period of time, but they are also created out of a variety of elements. The art is to keep the ingredients and time in balance,” comments curator Thomas Struck. The Berlinale Street Food Market will serve international delicacies from February 7 through 17. In collaboration with BITE CLUB and Slow Food, Culinary Cinema is again installing food trucks at the heart of the festival, next to the Berlinale Palast. On February 14, Culinary Cinema and the publishing house DK Verlag are hosting a further “TeaTime” event. Israeli-British chef and author Yotam Ottolenghi will present his latest book, titled “SIMPLE”. In it he masters the task of cooking with no more than ten ingredients. Special thanks go to our official partner Mastercard for providing valuable support and priceless moments.